A number of years ago, after reading Richard Adam's Traveller, I decided to write and tell him how much I'd enjoyed the marvelous book. No amount of Googling produced his address, so I settled and sent my letter to him in care of his publisher. I was pleasantly surprised when, in short order, I received a handwritten letter from Richard. It turned out to be one of many we exchanged over the next year or so, until his pressing schedule brought our corresponding to an end. Traveller went out of print shortly afterwards but that didn't take it off my favorites list. 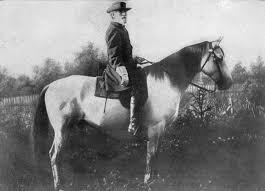 The book, written in 1988, is an account of the Civil War as told by Traveller, Robert E. Lee's horse, to Tom the barn cat. Both R.E. 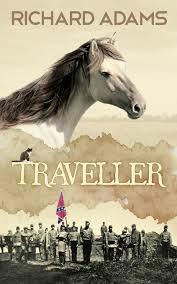 Lee and Traveller are real historic figures. The dialog between Traveller and Tom may or may not have happened. You can judge that for yourself if you're interested, since the book is now available in Kindle format (link above). And, if you are wondering what that could possibly have to do with preconceived notions, the title of this post, here's the explanation. As Traveller tells Tom of his adventures with General Lee, he spends a lot of time telling the cat how excited all the young men were at the prospect of going to war. 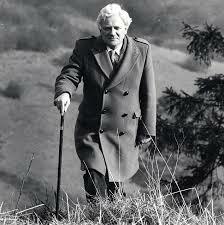 "What I couldn't really make a guess at was whether it would be far to the War - a short road or a long 'un. I still don't know the answer to that Tom, cause o' course, as I'm gonna tell you ,we never got there. We never did." Our preconceived notions do not serve us, however, they can, and often do mislead and ultimately keep us from knowing the truth.